Dr. Schaufelberger is a board-certified orthopedic and sports medicine surgeon who specializes in hands, elbows and upper extremities including shoulders, sports medicine and general orthopedics. Kenneth Schaufelberger, MD, joined the medical team at the Kennedy Center in 2012 as a specialist in hand, wrist and upper arm surgery. 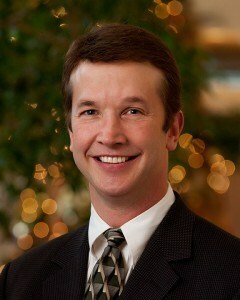 He has been a practicing surgeon in the Fox Cities since 2007. He graduated medical school from the University of Wisconsin Medical School, Madison in 1997. He continued at the University of Wisconsin Medical School where he completed his internship and residency in general surgery in 2000 and orthopedic surgery in 2005. Dr. Schaufelberger is board certified in Orthopedic Surgery. He is a Fellow of the American Academy of Orthopedic Surgeons. Dr. Schaufelberger received his Fellowship training in Hand and Upper Extremity from the Medical College of Wisconsin and completed additional Fellowship training in Wrist and Hand Surgery from Yale University in 2006. Dr. Schaufelberger has been an Associate Clinical Professor in the Department of Orthopedic Medicine at the Medical College of Wisconsin since 2006. In 2009, he was awarded the Medical College of Wisconsin Clinical Professor of the Year Award.